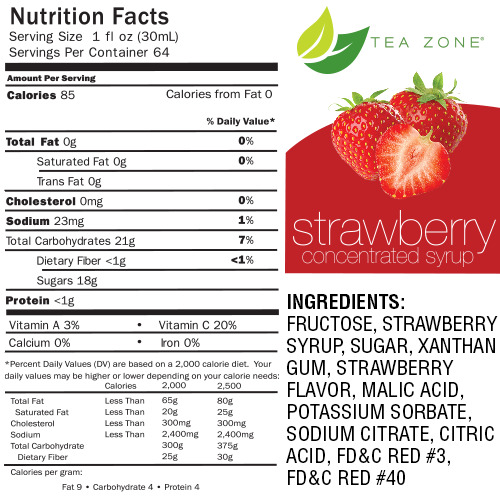 Strawberry bubble tea syrup used to make Strawberry boba smoothies, Strawberry boba slushies, and Strawberry flavored green / black teas. The refreshingly sweet and tart-y flavors of strawberries naturally make our mouths water in anticipation. Never have to leave the home to get a taste of sweet strawberry flavors with the help of our Strawberry syrup. Since this sweet syrup is packed with real strawberry flavor, every beverage you make with it will taste like the real thing. For a cool strawberry slushie, blend this syrup with some water and loads of ice and add some pearl tapioca for added chewiness. Like this item? 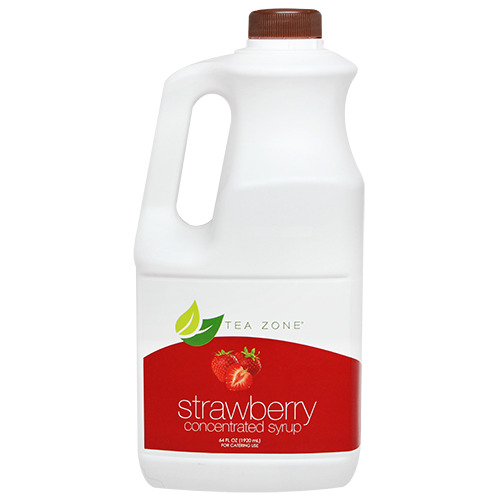 Try our Tea Zone Syrup Pump! Very nice! Good strawberry syrup. I can actually see the strawberry seeds which means it was made with high-quality and has real fruit. Thanks!